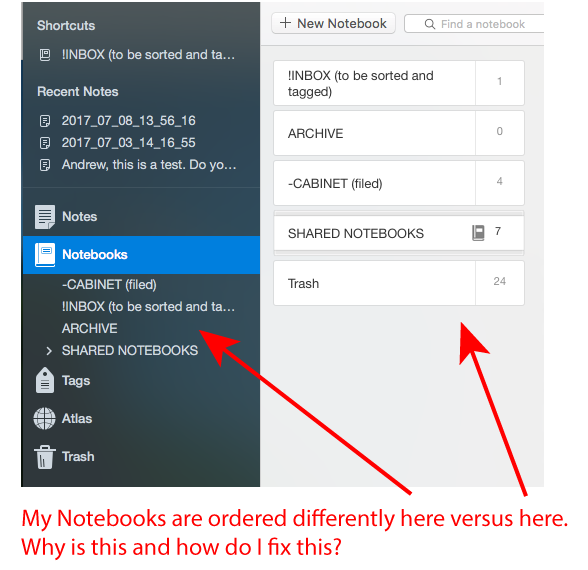 The weird thing is that they are displaying in different orders on the left sidebar versus the main display (see image). Yes, this worked. Thanks. By the way, I'm on a Mac.